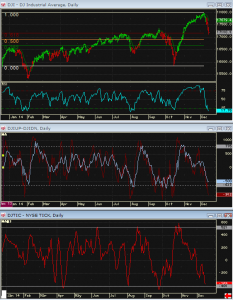 Above is a chart showing the RSI for the DOW as well as the 50% retracement level a bit lower. Beneath that is the 5 and 10 day moving average of the of the advance/decline – the blue line is the 10 day moving average and is starting to approach oversold but has been much lower in the past. 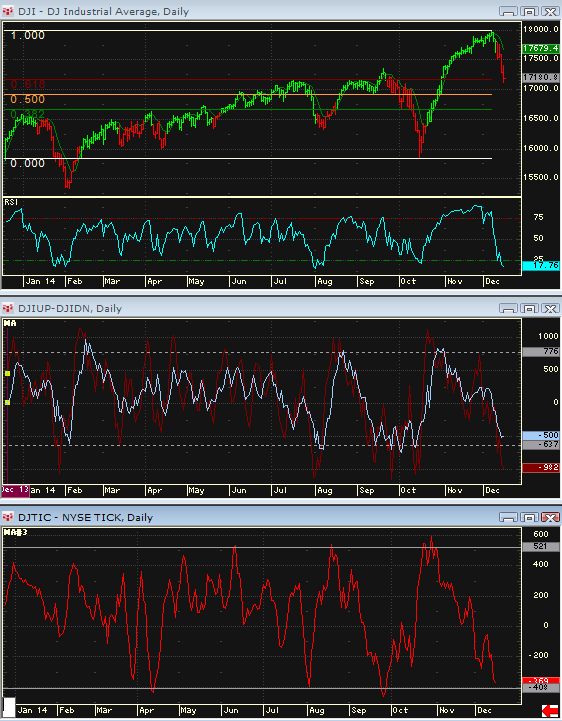 The 5 day moving average of the closing Tick reading is approaching oversold levels but can still go much lower. The 120 minute SPs made new momentum lows. The 2-period ROC also made new momentum lows. The market has had two big high to low days, but for the past three trading days, an early morning rally or gap up has corrected the intraday oversold readings. The market should continue in this pattern: Morning rallies set up shorts, as there is an intact downtrending channel. It is easy to see the possibility of the DOW making a third push down on the 30 minute charts. This might then lead to better consolidation on the 120 …a la price equals time. 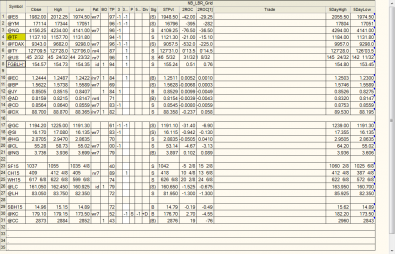 Again, none of the market internal indicators are flashing buys and get still push lower over the next few trading days. 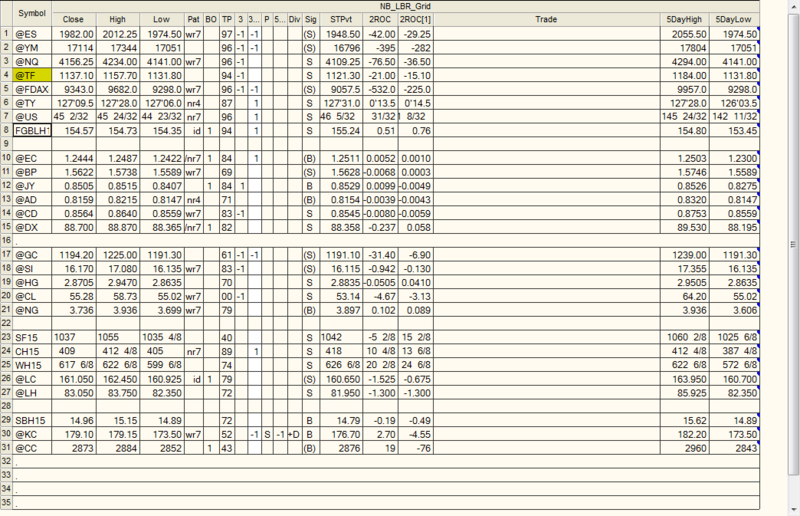 This is triples expiration week: The increasing number of in the money puts can keep a downside squeeze on the market. To emphasize the downside momentum in this market: The DAX made new momentum lows on the 2-period ROC and registered the lowest reading on this indicator in almost 2 1/2 years. So…very oversold short term, but momentum precedes price. 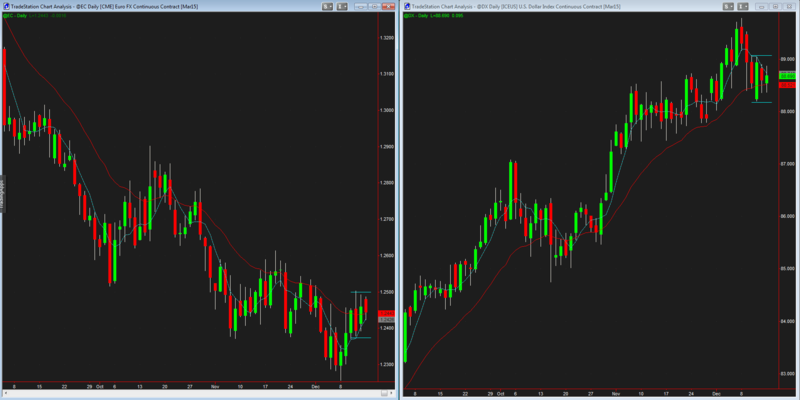 Due for consolidation but the final lows are probably not in.